Patient safety is the end objective for manufacturers, wholesalers, distributors and those healthcare professionals administering to patients. This blog is in 2 parts and draws on some of the findings from good distribution practice (GDP) inspections, references to the EU GDP Guidelines 2013, the Green Guide and an article I wrote for the Pharmaceutical Journal a few years ago. 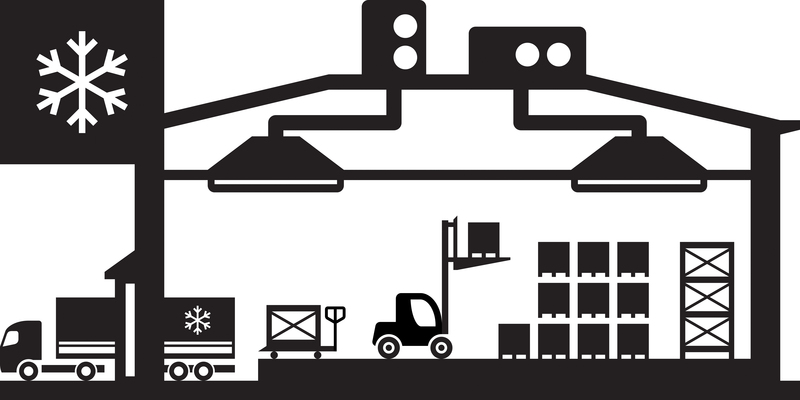 Following manufacture, some medicinal products need to be stored and transported at lower than ambient temperatures to assure their quality and efficacy. These are often referred to as 'cold chain products' or 'fridge lines' and wholesale dealers are expected to store and distribute them in strict accordance with the product labelling requirements as stated in the EU GDP Guidelines - chapters 5.5 (Storage) and 9.2 (Transport) give more information. The second part of this blog which will focus upon transportation, packing, temperature management, the use of third-party couriers and returns will be posted in the near future. When cold chain products are delivered, it is important that they are checked in as a matter of priority and placed in a pharmaceutical refrigerator. The person responsible for receiving the delivery must also satisfy themselves that the goods have been transported under appropriate conditions (eg there has been no direct contact between the products and gel or ice blocks or if the consignment is warm to the touch). If it cannot be confirmed that the products have been transported under appropriate conditions and there is concern that their quality may have been compromised, the delivery should be quarantined in a suitable refrigerator while enquiries of the supplier are made. Until the issue has been clarified the products in question should be considered as unsuitable and should not be supplied. If, following enquiries, there is still doubt as to the quality of the medicines received, the delivery should not be accepted and should be returned to the supplier. 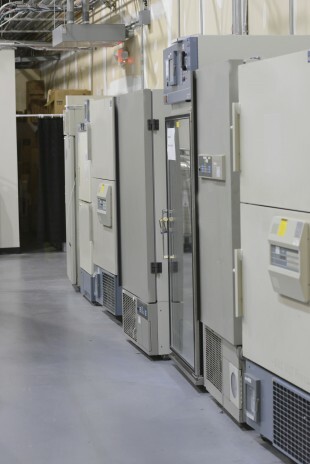 A pharmaceutical refrigerator is required for the storage of refrigerated medicinal products. The air within this type of refrigerator is circulated by a fan, which provides a uniform temperature profile and a rapid temperature pull down after the door has been opened. Temperature monitoring is recorded by a calibrated electronic min/max thermometer, with an accuracy of ±0.5C, which can be read without opening the refrigerator door. Additional benefits are that these refrigerators can be locked and some have the option of either an audio or visual alarm system to alert staff in the event of temperature deviations. Many refrigerators have glass fronted doors giving greater visibility to stock levels, aiding stock management and also deterring the storage of non-medicinal products. When purchasing a new refrigerator, factors to consider might also include how long the unit can maintain the required temperatures if the power is turned off and to what extent the temperature is affected by external ambient temperature variation, for example, in hot spells. 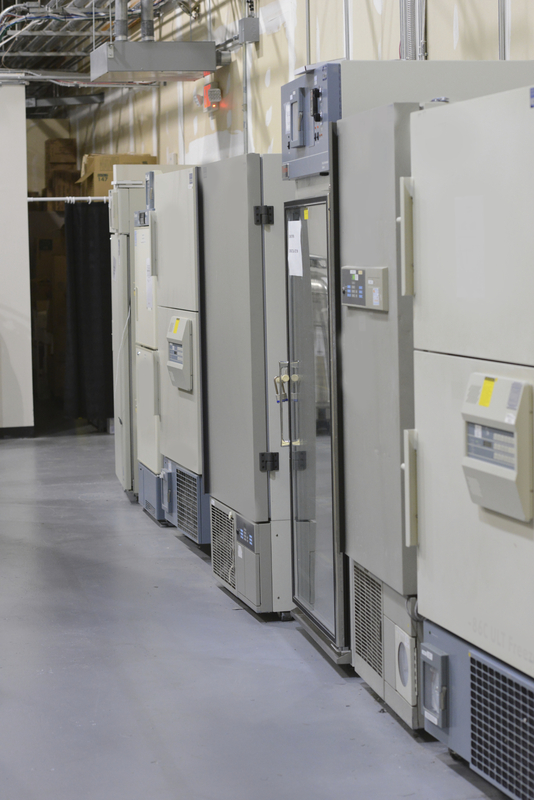 As is applicable for transportation, products stored in a refrigerator should be subject to daily temperature monitoring by a minimum and maximum calibrated device with a supporting appropriate calibration certificate. Temperature records should identify any temperature deviations and give details of corrective actions taken as a result. For instances where there has been a temperature deviation, best practice would be to take a further reading later the same day, to ensure that it was a transient deviation and show that the temperature was now back within prescribed parameters. The Responsible Person should be informed of any deviations. Temperature records are especially important in the event of a problem with a product and may be required as evidence of appropriate storage. With this in mind, they should be free from alterations or corrections and the person responsible for taking the readings each day should have a trained deputy to cover for absences. The records should be routinely reviewed and signed off by the Responsible Person. “In addition to temperature mapping and monitoring there should be safeguards to preserve appropriate storage conditions. Some small refrigerators are purported to be medical or pharmaceutical refrigerators but this on its own does not automatically render them suitable for wholesale use. The refrigerator should be capable of restoring the temperature quickly after the door has been opened and without danger of overshooting to extreme cold. This could be assisted by an internal fan and good shelf design which enables an efficient air flow. There should be no internal ice box and no internal temperature dials capable of being inadvertently knocked and adjusted." "Storage practices for using small refrigerators should include consideration of segregation of stock with different status, e.g. incoming, quarantine, returned and outgoing stock. Sufficient space should be maintained to permit adequate air circulation and product should not be stored in contact with the walls or on the floor of the refrigerator. If the refrigerator is filled to capacity the effect on temperature distribution should be investigated. Where non-refrigerated items are introduced to the refrigerator, such as non-conditioned gel packs, the impact of introducing these items should be assessed regarding the increase in temperature they cause”. “These should be of appropriate design, suitably sited and be constructed with appropriate materials. The design should ensure general principles of GDP can be maintained, such as segregation of stock. Condensate from chillers should not be collected inside the unit and there should be a capability to carry out routine maintenance and service activities as much as possible from outside the unit. The temperature should be monitored with an electronic temperature-recording device that measures load temperature in one or more locations depending on the size of the unit, and alarms should be fitted to indicate power outages and temperature excursions”. “The same general principles apply to freezers as apply to other cold chain storage units above. Walk-in freezers pose a significant operator health and safety risk, and the impact of ways of working should be reviewed with consideration of risk to causing temperature excursions”. MHRA have provided guidance on sites that handle (ambient) and refrigerated medicinal products for short periods of time. The Glossary of Terms defines holding as “storing medicinal products”. Medicinal products should therefore only be stored on premises that are covered by a wholesale distribution authorisation. However, there are certain cases where medicinal products are held for short periods of time during transportation and prior to onward shipment, eg in the transportation vehicle at motorway service stations or in overnight freight depots. In such instances it has been determined that, as a matter of policy, a site does not have to be named on a licence where ambient products are stored for less than 36 hours. This policy applies only where ownership of the products has not been transferred to the person carrying out the storage activities. Where ownership has been transferred, this is supply and as such the receiving site must be licenced. It is also important to note that, where wholesaling activities other than storage are being carried out, the site should be named on the relevant licence. This includes the handling of returned goods and where decisions are made regarding suitability for resale, as well as the usual activities of picking against orders. The exception will be where these products are transported and stored overnight in continuously refrigerated vehicles. As with any delivery, staff receiving goods should also be alert for the presence of falsified medicines. Whatever type of refrigerator or cold store is used, once a mapping exercise has taken place, products should be stored in an orderly fashion on shelves - not directly on the floor of the unit - to ensure air circulation and consistent temperatures throughout and facilitate cleaning. Calibrated temperature monitoring probes should be sited in a central location within the refrigerator and, preferably between the products. Probes should not be placed in the door. The refrigerator should be cleaned regularly (as part of a general cleaning rota) and serviced at least annually. If the refrigerator is fitted with an audible or visual alarm, this should be routinely tested to confirm correct operation at specified appropriate temperatures. The stock within the refrigerator should be subject to effective stock rotation based on first expiry, first out, (FEFO). It should not be assumed that the most recent deliveries will have a longer expiry period. Refrigerators containing medicinal products must not be used for the storage of food and drink or anything that might contaminate the medicinal products. Thanks for the great blog, Steve. I was wondering if you could clarify your advice on placement of the temperature monitoring sensor. You clearly are recommending a "central location" that is close to the products, and recommending against placing the probe peripherally, especially on the door. 1) Are you recommending determining the probe location based on the data found during the temperature mapping? Typically, guidance directs us to take the hot/cold spots discovered during mapping into consideration as we place our monitoring probe(s). How do we justify placing a probe centrally if our hot/cold spots were found on the sides of the refrigerator storage space? 2) With a centrally placed probe, the probe is going to literally in the portion of the refrigerator used for active storage, and subject to bumps and physical shock from normal loading and unloading. How to you prevent incidental damage to the sensor and the possible result in increased sensor drift? How do you prevent the sensor from being moved by the loading/unloading of product from the refrigerator? 3) Many pharmaceutical refrigerators come with a display probe already mounted, often to the inner wall of the refrigerator, just inside the door, sometimes in liquid (such as glycerine) that will buffer temperature swings. This area, as a result, very often gets used as a default for a monitoring location, with the monitoring probe in the liquid. Do you recommend against using this type of default location for the monitoring probe? Do you recommend against placing you monitoring probe/thermometer in liquid to buffer against temperature changes? Thank you in advance for your consideration of these questions. In full disclosure, I do work for a company which offers an automated temperature monitoring solution designed specifically for pharmaceutical storage. I am leaving the name of my employer and our product out of this question to avoid using your blog for gratuitous advertising. These questions that I have asked here are questions that I am asked regularly by our customer base, and future customers at trade shows. I have some opinions of my own drawn from experience of seeing the solutions adopted by many customers. However, just because I have seen many solutions to this problem, it does not mean that any of the solutions are actually correct, or that they would not be criticized under an MHRA audit, especially given the changing regulatory landscape of GDP regulation. Your answers and comments to these questions will be helpful to many. Again, many thanks in advance. Question 1 - This refers to smaller refrigerators with a uniform temperature profile as determined by a mapping exercise. Question 2 - In smaller refrigerators this has not been evidenced as an issue but of course care should be taken when loading and unloading. Question 3 - The temperature display unit on refrigerators is usually not read from a calibrated temperature probe and should not be relied upon as an accurate temperature gauge. In relation to buffering, any use of a liquid to simulate the load of the refrigerator rather than monitor air temperature should be supported by a risk assessment, a mapping exercise and should satisfy the requirements of 3.2.1 and 3.3 of the EU GDP Guidelines. good information,Thanks you so much, your advice on placement of the temperature monitoring sensor its helpful information , i come back again this blog , please you write about the temperature monitoring sensor. good information, thank you so much,i think A temperature sensor is a key component of any process heating application as it provides temperature feedback about the process, which can be used to monitor or control the process. i come back again this blog. With regard to temperature deviations, can you advise as to what you would describe as a 'transient' deviation? For example, if a min/max thermometer placed in a pharmaceutical refrigerator in regular use on a ward recorded a maximum temperature of say 13 degrees C (perhaps caused by a prolonged door opening), when the minimum daily readings were 5 degrees C, would you consider this a 'transient' deviation given that the actual duration of exposure at the higher temperature was unknown? It is a particular problem deciding whether this is a significant excursion or not when fridges are only monitored by once-daily recordings of min/max temperatures. Any advice would be most welcome. Medicinal products should be stored within label conditions as stated on the outer pack. Deviations should be documented and investigated to identify the root cause. Any deviation should be assessed in terms of its severity both from a temperature and length of time out of range, and advice obtained from the manufacturer to determine potential impact on the product. could you advise on what should happen to any items stored in a fridge where the temperature record shows that it has risen outside of the range overnight and then returned to within range. New fridge, 2 months old. Medicinal products should be stored within label conditions as stated on the outer pack. Deviations should be documented and investigated to identify the root cause. Any deviation should be assessed in terms of its severity both from a temperature and length of time out of range, and advice obtained from the manufacturer to determine potential impact on the product. can you advise what should happen to IMP stored in fridge where the temperature record shows that it has slightly risen above the normal storage conditions for small period of time (e.g less than 5 minutes) i.e due to opening of fridge door to remove IMP or perform drug accountability. Sponsor would like to get all these temp excursions reported and investigated despite how small the excursion interval is (e.g even if it's for 1 minutes). This could have significant burden to manage temp excursions promptly especially when patient is in clinic for the planned treatment. Medicinal products, including IMPs, should be stored within label conditions as stated on the outer pack. Any temperature excursion should be handled via an appropriate risk management strategy, where the level of effort should be commensurate with the level of risk. Deviations should be assessed in terms of its severity both from a temperature and length of time out of range, to identify the root cause. Temperature monitoring systems (rather than Min/Max devices) are typically set with a small delay time for temperature alarms based on risk assessment and confirmed via validation and risk packages. It is not typical that very short excursions (e.g. 5 minutes or under) are reported in individual formal deviations, but these should still be noted. Overall the Quality System should ensure that the unit is operating correctly and as per the User requirements and validation.